LOCATION.--Lat 40°40'23", long 74°18'47" referenced to North American Datum of 1983, Cranford Township, Union County, NJ, Hydrologic Unit 02030104, on right downstream wingwall of bridge on Kenilworth Boulevard (County Route 509) at Kenilworth, 600 ft downstream of Nomahagen Brook and Lenape Park flood control reservoir, 0.9 mi west of Harding School, and 1.7 mi west of Kenilworth Municipal building. PERIOD OF RECORD.--Continuous-record gage-height station water years 1971, 1973, 1999 to current year. 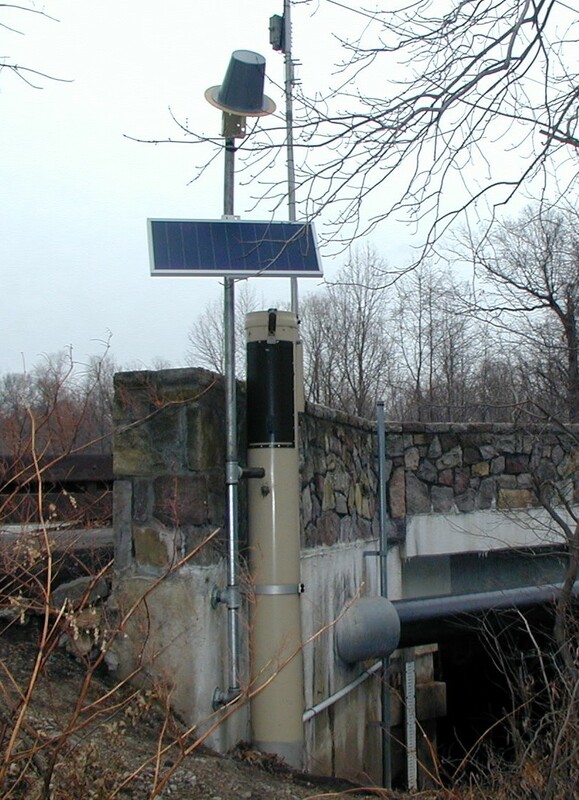 GAGE.--Water-stage and precipitation recorder with telemetry and crest-stage gage. Datum of gage is 57.16 ft above NGVD of 1929. EXTREMES FOR PERIOD OF RECORD.--Maximum gage height, 14.42 ft, Aug 28, 2011.